No one likes being opposed publicly. But that's exactly what happened when I posted a strong opinion on Facebook. Someone vehemently disagreed, and called me a scathing name, to boot! With shaky hands (warning sign Number 1) and a pounding heart (ahem ... Number 2), I hammered out a response on my keyboard. I'm telling you, friends, my reply was rich. It was based in Scripture, filled with facts from the news, and let my attacker know in no uncertain terms that I considered her a bully. After a deep breath, I hit "post." I was proud of how spiritual and smart and strong I sounded. Slowly ... very slowly ... I began to feel pinpricks of regret, followed by conviction. Suddenly, a memory broke my heart. Last year, there was a Twitter feed that went viral when a female comedian was called the foulest name a woman can be called. Her response was stunning as she opened a grace-filled dialogue with her name-caller. By the end of the interaction, she had reached out with practical help to the man who slandered her. Just weeks before my over-reaction, I had used my social media to point to this response as the way Christians should act. Like many, I feel a passion for addressing the issues of our culture, but God whispers to me to properly prepare first. Before we dive into the depths of policies, politics or philosophies, God has a lesson for us. In this divided world of ours, He wants to teach us the anatomy of a tender heart. A tender heart is a listening heart. As we listen to God's whispers, attend to the stories of those around us and become more concerned with people's pain than casting blame or affixing a judgment, our hearts grow tender. I’m learning to listen, and it's hard. I want to add my two cents so badly. Instead, God is teaching me to open my ears, shut my mouth and seek to understand — even when I don't agree. This practice is tenderizing a self-centered, opinionated heart. A tender heart is a feeling heart. King David, a man after God's own heart, expressed his full range of emotions alongside an unshakable faith. The two weren't mutually exclusive. Truthfully, I'm a little afraid of my emotions. My passion often runs ahead of wisdom. But doing work that comes from God's heart requires passion. It necessitates joy and sorrow. God's work means entering into others’ suffering and bringing the love of Jesus there. It's not that God doesn't want us to feel. He just wants our feelings to follow Him. A tender heart is a meditating heart. A tender heart is immersed in Scripture. That's the place where God shows us our sin and moves us to repentance — which leads to righteousness. David shows us the progression when he says, “LORD, who may dwell in your sacred tent? Who may live on your holy mountain? The one whose walk is blameless, who does what is righteous, who speaks the truth from their heart” (Psalm 15:1-2). Our walk becomes blameless as we listen to God. We listen, and then we feel. We feel, and then we do what’s right. Finally, we speak. That’s the path of a tender heart. Do you long to develop a strong voice for God in our world? Me too. In order to walk into that calling, we have to start with shaping our hearts so we can represent Him well. Not with an equally loud argument, a political party's talking points or a stronger philosophy, but with love flowing from a tender heart. Lord, make my heart tender through listening, feeling and doing what’s right. Then, and only then, help me use my strong voice for You. In Jesus’ Name, Amen. Developing a tender heart and using your strong voice requires wisdom. The First 5 app’s teaching through Psalms is a perfect place to start. Join us for free in our First 5 mobile app for our next study, Even If …, and discover how to follow God in all circumstances.  Did you know that by partnering with Proverbs 31 Ministries financially, you can change the lives of women just like you? Each time you give, women in all walks of life are learning to rely on God in the midst of schedules and to-do lists, wives are receiving the encouragement they need during tough times in their marriage and moms are leaning in to Jesus for strength when they’re running on fumes. Partner with us, and help make an eternal difference. If you want to develop a tender heart and a strong voice, visit Amy Carroll’s blog today. She’s sharing as she learns, walking a path to listen … feel … do … speak. Join her! Join the conversation, and share your thoughts in the comments.